Presenting 35-39 Daintree Road, Cornubia. Nestled in coveted Daintree Road, number 35-39 presents the perfect opportunity to secure a substantial contemporary residence on a prime parcel of landscaped acreage. Spread over a generous single level, this stunning family home offers style and space with multiple living areas. At the heart of the home is an open plan dining and kitchen - generously proportioned and enhanced by high ceilings that add a wonderful sense of space. Featuring sleek Caesarstone bench tops and stainless steel appliances, the kitchen is centrally positioned to service the internal and external entertaining areas and is sure to excite the chef in you! The superb covered outdoor entertaining area is one of two outdoor living areas and is easily accessible through wide glass doors from the dining and living area. Positioned poolside, it's the perfect spot to entertain friends, or to sit and watch the children swimming while taking in the peaceful leafy views beyond. The clever floor plan delivers two separate living rooms plus a study or fifth bedroom. With nothing left to do except move in and enjoy, this premium feature-rich estate is a must to inspect. In good company surrounded by executive acreage properties, living here will have you positioned moments from shopping, golfing and a selection of schooling including Chisolm College and Calvary Christian College. 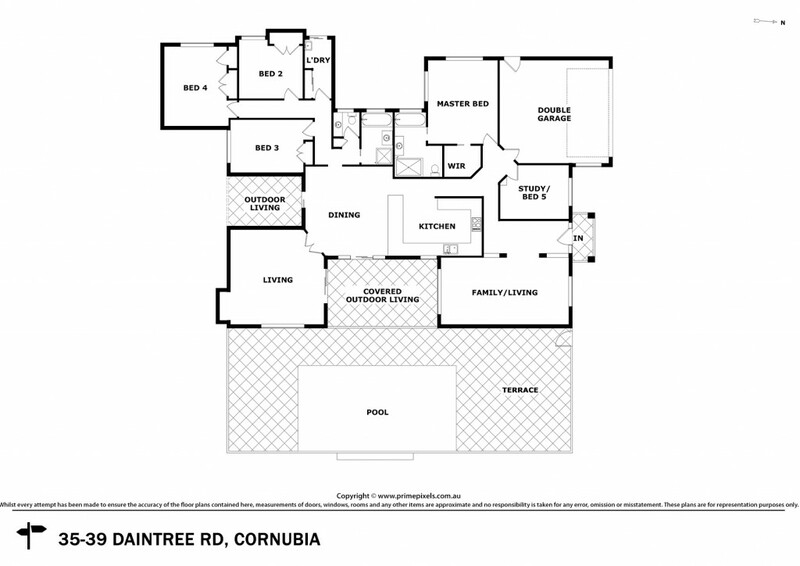 Cornubia is also well located with easy access to the M1 placing Brisbane, the airport and Gold Coast within easy reach.